A “Clean Beaches Program” has been started in Costa Maya and Mahahual, with the help of the state of Quintana Roo. Mexico as a nation has made a huge effort to preserve the beaches and the natural habitat of the coastlines. 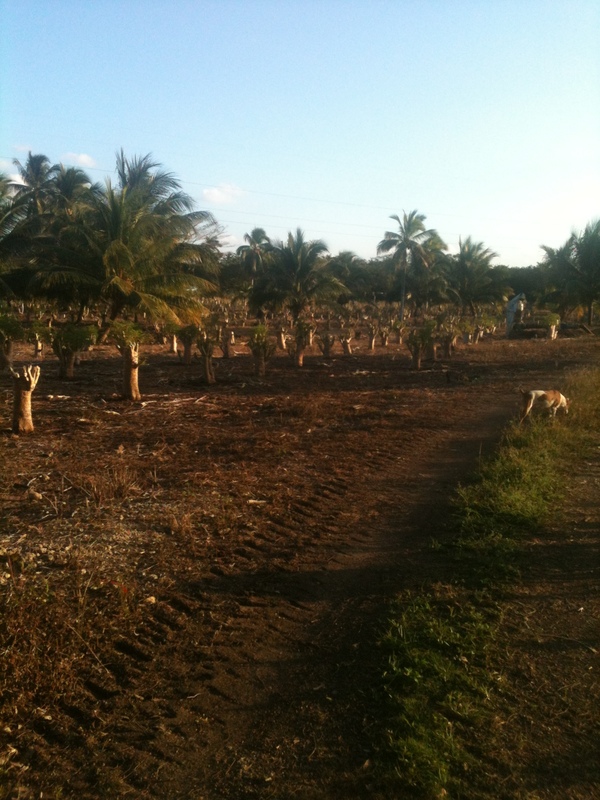 In Mahahual there is a concentrated effort to preserve and keep the beaches clean. Once a year there is a “Clean Mahahual and Beaches Day”, which always meets with a great response from the community. In the barrio where I live, once a month the residents get together and have a clean up day, and pick up trash and refuse off the roads. President of Othon P. Blanco, Eduardo Espinosa Abuxapqui giving speech to children. 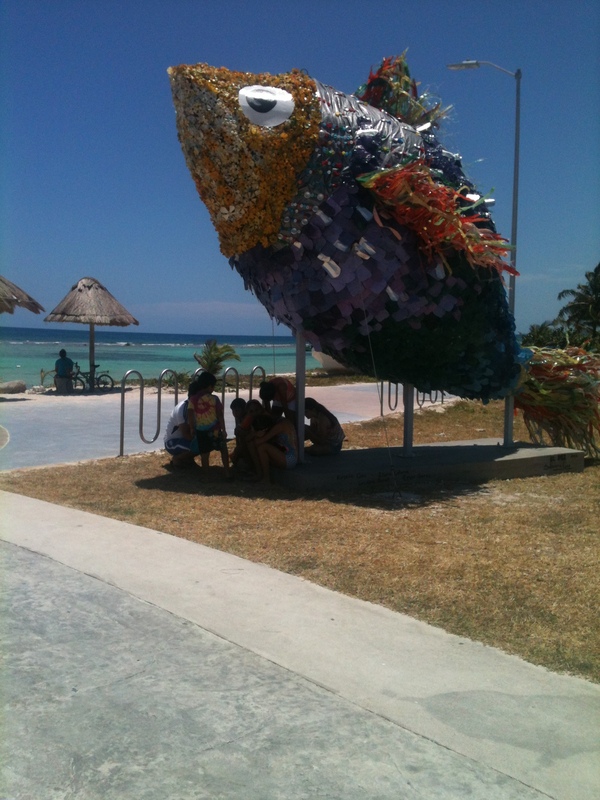 There is even on the malecon a sculpture made out of plastic bottles that were collected off the beaches of Mahahual. The “El Pez” fish sculpture was designed and built by Sabrina Coco, a famous Argentian artist who is building a house in Mahahual. The “El Pez” sculpture on the malecon has become quite a tourist attraction. The sculpture was made out of recycled plastic bottles washed up on the beach in Mahahual. People in Mahahual realize that it is in their best interests for the future to keep the beaches here pristine. This year during Semana Santa, a lot of attention was focused on keeping as much trash off the beach as possible. There were mobile bike carts collecting garbage, and even bike signs reminding tourists to deposit their trash. Because of this I noticed a big difference in the last couple of years from the amount of trash piled up. Sign reminding tourists to place trash in proper areas. Costa Maya and Mahahual have some of the most beautiful beaches on the Caribbean, and in the world for that matter. Every effort is underweigh to keep them that way, and preserve them for future generations. Below is a local press release translated from Spanish about “Clean Beaches Program”. Given the need for programs and activities to keep the beaches clean of Mexico , it has formed the “National Clean Beaches Council ” composed of the National Water Commission and Ministries of Tourism , Health , Marine , Environment and Natural Resources , the National Bank Works and Services and the Federal Commission for Protection against Health Risks . In Quintana Roo exists Committee Clean Beaches Costa Maya ( CPLCM ) , who serves as a subsidiary body of the Council of Cuenca Yucatan Peninsula ( CCPY ) built since 2007 , currently in operation , taking sphere of influence in the municipality of Othon P. White has had as well as to promote the rehabilitation of the beaches and river basins , sub-basins , aquifers , lakes and wetlands associated with them . The delegate of the National Water Commission ( CNA ) in Quintana Roo, José Luis Blanco , swore in the members of the Committee for Clean Beaches Costa Maya , who heads the mayor of Othon P. Blanco, Eduardo Espinosa Abuxapqui . ” We will launch a call for the members of this new committee attend meetings, seek involvement of the private sector friendly way Mahahual to promote actions for the preservation of our beaches , it must be a shared task among all , “said mayor Eduardo Espinosa Abuxapqui . For the mayor, Eduardo Espinosa Abuxapqui is important to strengthen the participation of children as citizens inspectors and youth to foster a culture of environmental care . At the inauguration of the Committee on Clean Beaches Costa Maya was attended by members of the Cabildo of Othon P. Blanco, federal and state authorities . 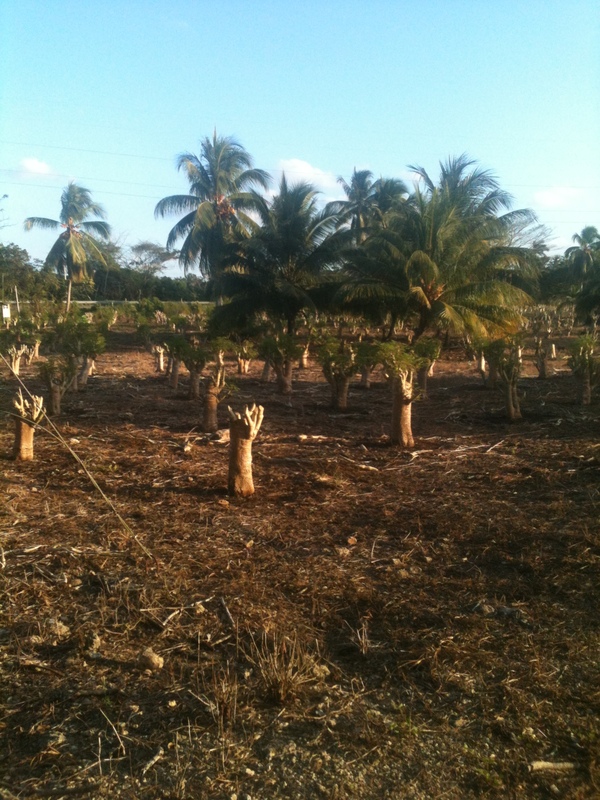 On the main Highway, 307, that runs from Chetumal to Felipe Carillo Puerto, and right before the turn off from Chetumal to Mahahual, is DelCafetal Moringa Farm. 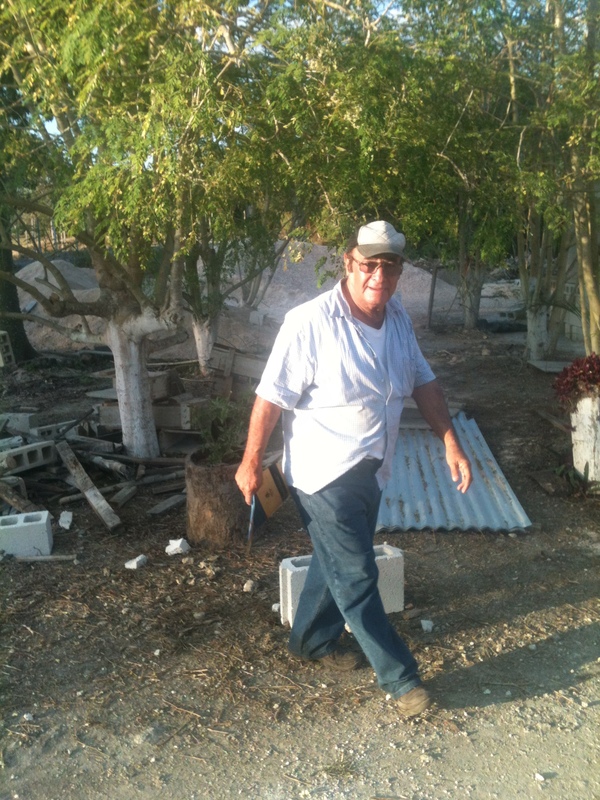 The farm is owned and operated by Carlos Morelos. I had a chance to stop in and visit with him a couple of months ago, and I got a tour of his farm, and a crash course in the health benefits of Moringa. Moringa, native to parts of Africa and Asia, is the sole genus in the flowering plant family Moringaceae. The name is derived from the Tamil word Murungai. It contains 13 species from tropical and subtropical climates that range in size from tiny herbs to massive trees. 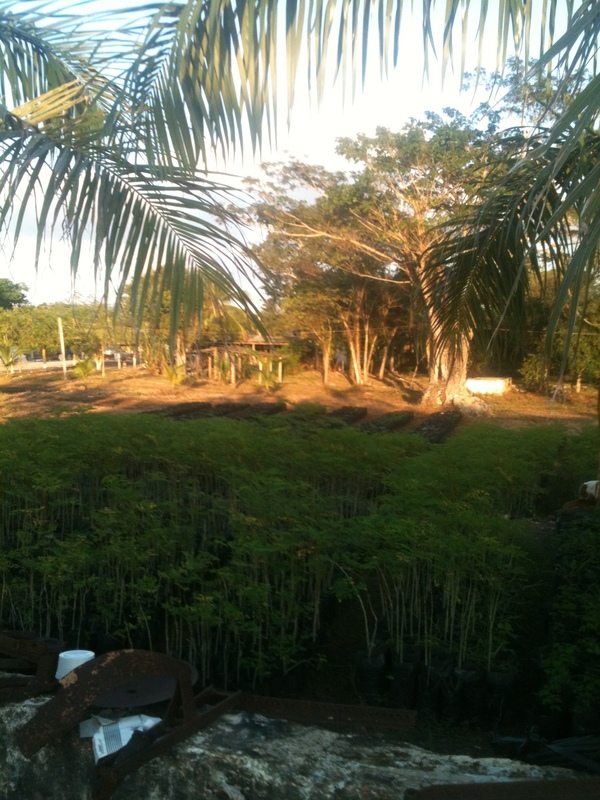 Moringa grows quickly in many types of environments. Much of the plant is edible by humans or by farm animals. The leaves are rich in protein, vitamin A, vitamin B, vitamin C and minerals. 100g of fresh Moringa leaves have 8.3 g protein, 434 mg calcium, 404 mg potassium, 738 μg vitamin A, and 164 mg vitamin C.
Feeding the high protein leaves to cattle has been shown to increase weight gain by up to 32% and milk production by 43 to 65%.The seeds contain 30 to 40% oil that is high in oleic acid, while degreased meal is 61% protein. The defatted meal is aflocculant and can be used in water purification to settle out sediments and undesirable organisms. 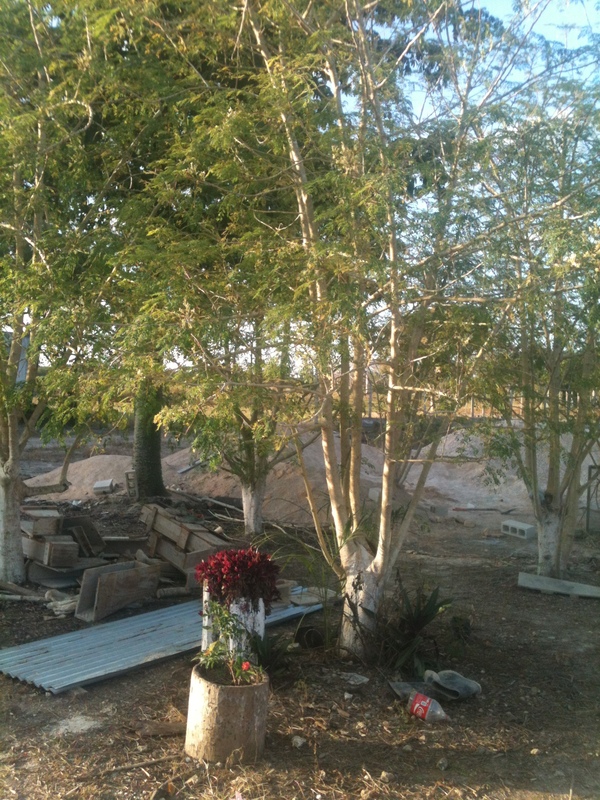 Moringa cultivation is on the rise in Mexico and all across South America. There are claims that it is a profitable means of combating deforestation, but Moringa is not native to the forests of the New World. 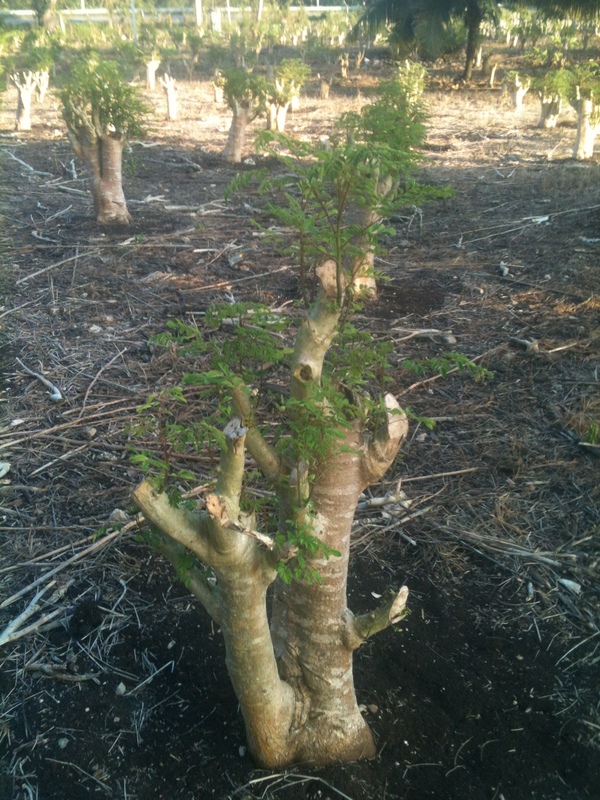 As of 2012 support for Moringa farmers is being offered by the Honduran federal government through the Secretary of Agriculture and by private foreign investment firms. The plant’s market potential is widespread given its easy growth and high nutrient content. As described below, the plant is valued for its leaves and high-protein seeds. It can also be made into defatted meal. Moringa oleifera silviculture is being promoted as a means to combat poverty and malnutrition. Moringa oleifera is being cultivated in poverty-stricken nations, such as Niger, as a primary source of food and nutrients, and a source of income through sales due to widespread and global marketability. 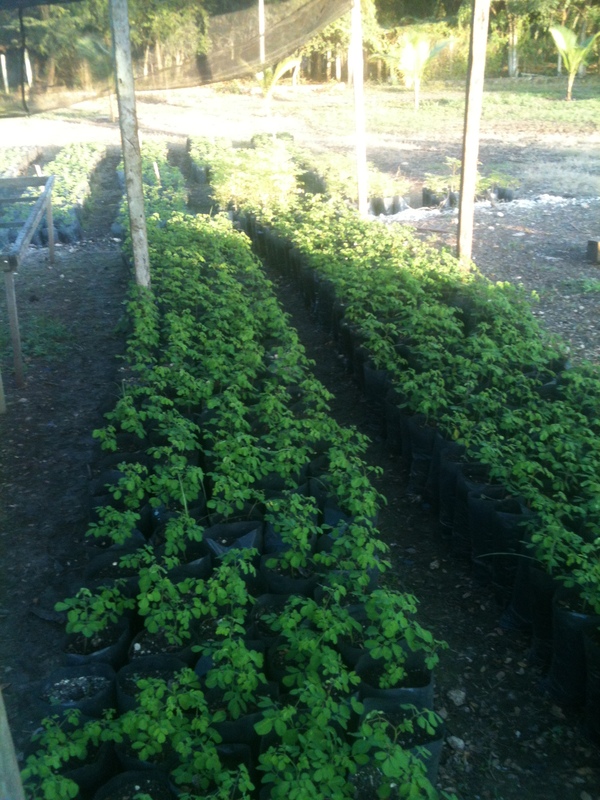 In Haiti moringa is planted as a windbreak and to reduce soil erosion. The trees provide many products from oil to soil amendments (fertilizers) and teas made from the leaves. Perhaps the most remarkable thing about the Moringa is that it has such incredible health benefits over a wide-range of health issues. Moringa oleifera has an impressive range of medicinal uses with high nutritional value. Different parts of this plant contain a profile of important minerals, and are a good source of protein, vitamins, beta-carotene, amino acids and various phenolics. The Moringa plant provides a rich and rare combination of zeatin, quercetin, beta-sitosterol, caffeoylquinic acid and kaempferol. Moringa oleifera is very important for its medicinal value. Various parts of this plant act as cardiac and circulatory stimulants, possess antitumor, antipyretic, antiepileptic, antiinflammatory, antiulcer, antispasmodic, diuretic, antihypertensive, cholesterol lowering, antioxidant, antidiabetic, hepatoprotective, antibacterial and antifungal activities, and are being employed for the treatment of different ailments in the indigenous system of medicine. 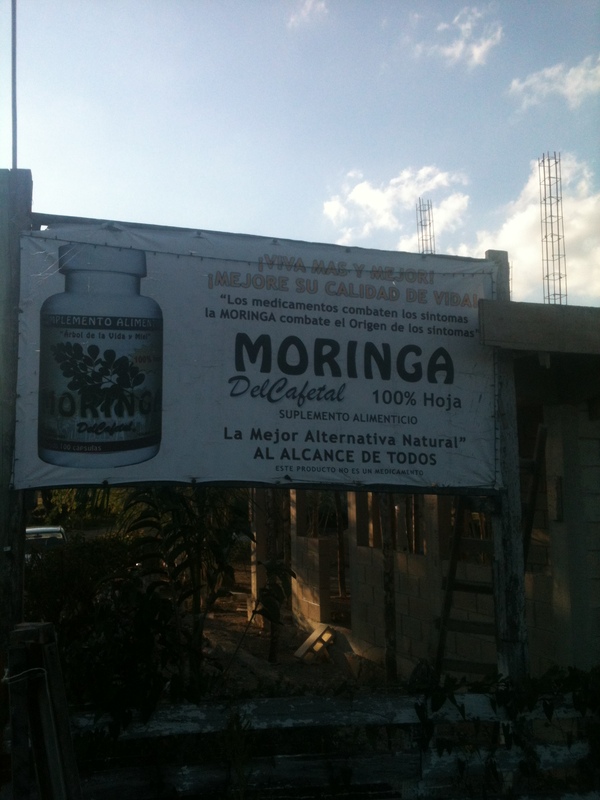 Because Quintana Roo has practically no pollution, Moringa grows in its purest state here in Mexico. 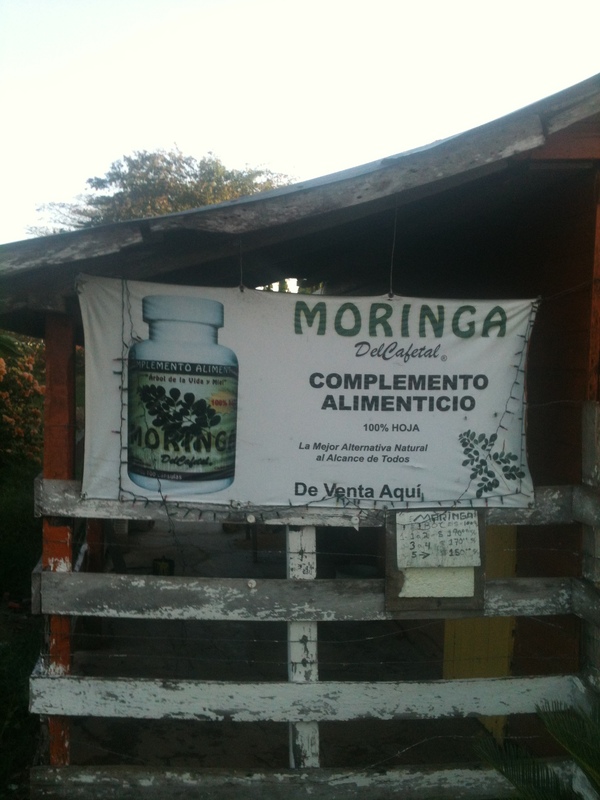 Mr. Morerlos told me he noticed the change in the cattle on his farm, after he added Moringa to their diet. After he started using it himself because of a bad leg injury and other health problems, and it has helped him a lot. Moringa is also a good for diabetes, and other health problems. I started taking Moringa after I visited the farm, and it has decreased my blood sugar( I am a diabetic), and also with circulation in my legs. I am a convert and will continue to take Moringa. Thanks, Stewart Rogers USA-South Carolina. Carlos I. Morelos local Moringa farmer, showing us his tree farm. Captain of the Port of Mahahual , Armando Fierro Carvajal said that extending the fishing pier is a project that is being considered by government authorities, but made it clear that this is still a possibility. “You are in a position to extend the fishing pier serve to make attachments for tourist boats small and medium size, as private yachts and providing tourist services, to dock . That would allow the ordering of these boats in the beach area “he said. Fierro Carvajal said that the spring is currently only built in the first phase and the second phase of continued , focused arrangements to give you more business sense to work , where maintenance , control and attention would be different would, it that would allow for better organization of the vessels , as well as provide better image and tourist services in the community. 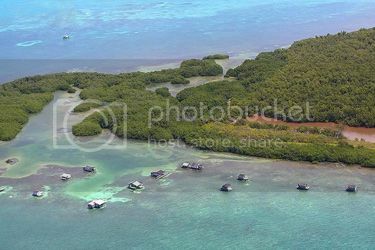 ” The improvements to the building lateral sides of the spring arms are included , and would provide services such as light for marine signage, better infrastructure, among other changes ,” the captain Puerto ecotourism village, Armando Fierro Carvajal. I came across this article and I thought I would share. The article is written by a Northwestern student from Mexico, and has been published in Mexico. Good article from Mexican point of view. When I wanted to apply for a grant to conduct research over the summer in Mexico, I found out it would require the same additional steps ­— obstacles, essentially for the same reason, even though that’s my home. The preconceived notions and stereotypes about Mexico can be saddening, amusing or flat-out demeaning. But I have come to find that they are not surprising. Remarkable, yes. But not surprising. Certainly the narrative on this side of the border does not help. On one side, there is the hostile rhetoric by certain segments of society about Mexicans and why they come to the U.S. as agricultural workers, janitors and low­-skilled service workers. Stealing American jobs whilst constituting a burden on public resources. On the other, the perspective from Mexican-­Americans tends to be one of struggle, where Mexico is the place their parents overcame for a better life — a country to leave behind so that their children could live the American dream. Because, in this view, it is preferable to endure any and all difficulties in the U.S. than to live in Mexico. At best, it is a country and a society to empathize with by virtue of being part of “the global south.” At worst, it is a lawless narco-state whose citizens are desperate to flee northward. Only this could explain why, at one of the top universities in the U.S., I am asked ­in all seriousness who mows my lawn in Mexico, “because here in America it’s always Mexicans who do that.” In any case, the discourse and attitudes toward Mexico are seldom favorable. In fact, they have never been worse. Pablo Garcia Romero is a Weinberg junior. He can be reached at pablogarciaromero2015@u.northwestern.edu. This is an article from http://www.tumahahual.com. It is translated from Spainish to English. The ecotourism village of Mahahual , drew the attention of dozens of travel agencies and tour operators , however , one of the main obstacles to a greater flow of international visitors to this destination is that there is insufficient transport infrastructure that can connect to the region with the rest of the world and of Mexico , said the president of the Association of Hotels, Hostels Camping Mahahual , Luciano Consoli . Participate in the Mexico Tourism Tianguis 2014 held this year in Quintana Roo, was a major step for Mahahual in the field of international tourism , because it could expose the natural beauty of this destination to different travel agents and tour operators. However, also left evidence of the need for greater connectivity of this destination with the rest of the country and the world, for better positioning. “In the tourist market we were exceptional, Mahahual had closer ties with travel agents and tour operators from different countries in Europe as well as Canada, the United States,” said Luciano Consoli . The business leader said today that international agencies seek ecotourism destinations as it is Mahahual ; however, one of the challenges is the need for greater infrastructure of transportation , ie buses and more international flights for better global positioning as a destination is required. The president of the Association of Hotels, Hostels Camping Mahahual , described the town as a unique ecotourism destination for world tourism market , which has been highly recommended by those who have visited , but more options are needed to reach this quintanarroense region. ” For us to grow as a destination we need to start reaching greater economic benefit , and for that to happen we need to begin to get more visitors ,” he said . Consoli Luciano insisted that it is necessary to invest in the infrastructure to Mahahual , noting that it should not only improve the connectivity of fate, but also should strengthen public and private services. This is a video walk-through of Costa Maya Port during March, 2014.